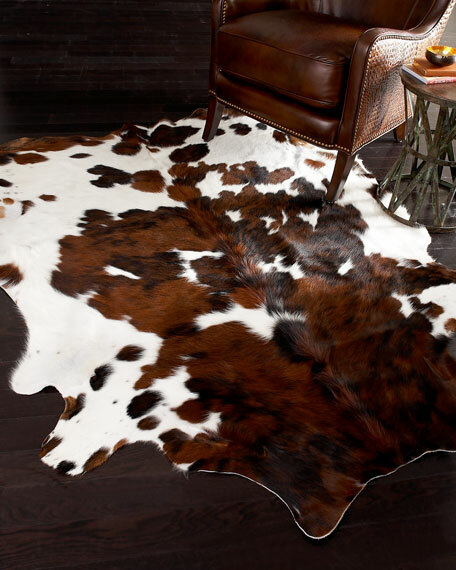 Add a touch of rustic charm to a room with this tricolor natural cowhide rug. Imported. Colors and sizes will vary. Some scarring and branding is a natural part of the hide.